On a number of occasions, I've been asked to build or convert a model and part of the work includes a psychic hood. Part of a psychic hood is the pair of power cables that run up the sides of the chest. Until recently, I've always sculpted them out of greenstuff. It's fairly easy to to do and with a little patience, you can get some nice looking results. 1. First you roll out a thin length of greenstuff in the diameter you want your cable. Make sure you have enough to do both sides of the chest. 2. Cut a short section (slightly longer than you'll need) and attach it to the model starting at the top. The excess can be cut away at the bottom where you can hide any potential mistakes. 3. Carefully press the greestuff onto the model, but no so much that you deform it. This is the tricky part of the whole thing. Use your X-Acto blade (a regular GW sculpting tool is not sharp enough to do this) and cut a series of ribs into the power cord. It will take three passes on each cable. Once on the top (upper most facing surface) first. This will flatten the cable out slightly, but will help it adhere to the model as well. Make sure your blade stays wet so it doesn't pull the greenstuff away from the model! 4. Then cut once on each side of the cable. It's too hard to make the ribs in one pass so it's better to make them using a series of short cuts combined together. And you need to make sure you side cuts line up exactly with your top cut so it looks consistent. There's really only one problem with this technique though... your cables really do need to be lying on the surface of the model for it to work. They can't be suspended or hanging down. Actually they can, but it requires using an underwire to support the cables and you have to wrap them with greenstuff and then cut your ribs into it. A huge pain in the backside and not for the faint of heart. Recently (within the past month) I was able to get my hands on some guitar strings. I went to a local music store, told them what I was looking for and why and asked if they had any "extras" lying around. After they got done laughing at me, they were kind enough to give me a handful of different sizes I could use for something other than playing the guitar. Nice guys they were. I've always seen cool looking conversions where the person used a guitar string to replicate some kind of ribbed power cable attached to some important point on the model. I've always wanted to be able to do that myself and be like the big guys. 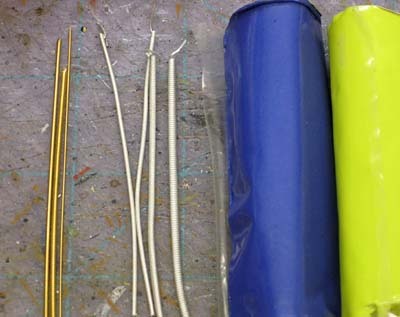 Then I was cruising the FTW blog rolls the other week when I saw this post by Jeff over at Dragon Forge where he mentioned his pewter power cables. Apparently, he's had them for a while, I've just never known about it. You can get them from his store here. I can 100% guarantee you you will throw away your guitar strings after you try these. Very bold I thought and picked up a set right away. I couldn't wait for them to arrive so I could see just well they would work out compared to other materials like the guitar strings. Once I had everything together, I decided I would try to make a standard Librarian psychic hood with my new materials. I had some guitar string, some pewter cables and some greenstuff. I knew the greenstuff method would work, so I skipped right to the guitar string. What a huge pain in the backside to use. The stuff is incredibly hard to bend and I can't cut it with my X-Acto knife. To get it into the correct shape, you need to bend it past what you need and hope it springs back into the shape you really do want. I can't believe people actually use this stuff. Thank goodness I know how to greenstuff them in place. It's also fairly hard to get a nice smooth bend to the guitar string. I think I'll be setting these aside for something else... like maybe the trash. Then I tried it with the pewter ones. It was night and day difference. They're easy to bend, they keep their shape, you can fit them exactly how you want them without having to overbend them and hope they spring back into the correct position. They cut easily with an X-Acto blade too. It took me no time at all to get one shaped how I needed it and cut to fit for my Librarian test. So it comes down to the greenstuff or the pewter ones and looking at the differences between the two different methods. The greenstuff ones really need a surface to lie on, the pewter don't. If your cables are lying down on a surface, this is no big deal. If your cables are going to be suspended, this is a big issue. You have to sculpt the greenstuff where the pewter come ready to go. This is definitely nice. Not having to sculpt them saves some real time. Pewter ones will have some mold lines. Not a big deal, but can be problematic for some folks to get them cleaned off such a textured surface. The mold lines on the ones I got would have cleaned off with little to no trouble at all. The pewter ones have a consistent diameter, greenstuff may vary. This is a very nice feature. That's one of the big issues with sculpting them with greenstuff... getting them consistent so they look "right." The verdict: The pewter ones are definitely worth it. It's going to take me some time to figure out how best to attach them and learn the finer points of shaping them just the way I want, but these guys will give me that added extra realism to my models and save me from having to greenstuff the entire cable. Now I'll only need to greenstuff the attachment points. Looks like Jeff was right, my guitar strings are headed for the trash. EDIT: Painting Munky Style was kind enough to offer up a link to his method for making power cables as well in the comments. Since I don't want to deep link, you can check out the comments for the link (cut and paste) to the full tutorial and I've posted a summary here. Thanks Munky! 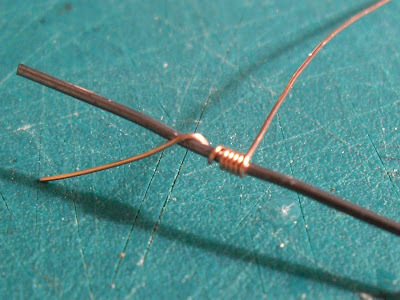 Using 24 gauge floral wire, he wraps it around a paperclip and pushes it tight into a coil. Once he has it long enough for what he wants to do, he takes the assembly and bends it to shape around a suitable object (the handle of his hobby knife or a pen, etc.) and cuts it's to fit. 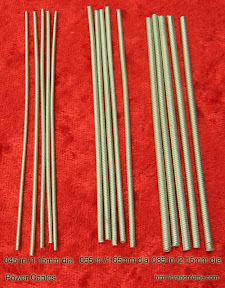 Note: I did not mention prices in this post because I got the guitar strings for free, almost everyone has greenstuff lying around and I figured if you're going to be doing this kind of conversion work, the cost of the supplies (pewter cables) isn't going to matter anyway. UPDATE: These days, if I find myself needing to make any kind of power cable or hose, I use the tube making tool from Green Stuff Industries. Jeff rocks. His site is full of handy stuff. That's where I got the flight stand for my Marauder Destroyer. He even cut it to a custom length before shipping to me. I'll have to grab some of these cables before my next marine conversion. 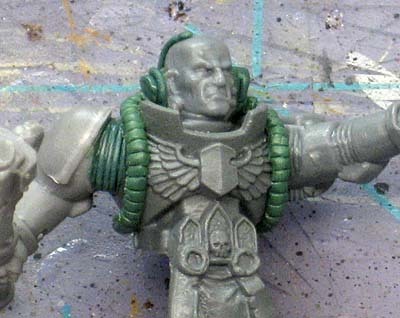 I used guitar string on a Terminator Librarian some time ago and it was a bit of a pain. One thing you may find the Guitar cable useful for is large models that need more support, like say scratch built walkers etc. You can replace straight sections of cabling with guitar wire for strength and detailing. Also they make wicked strong mechadendrite cables/linkages on Ad-Mech conversions that shouldn't flex and crack paint later on. 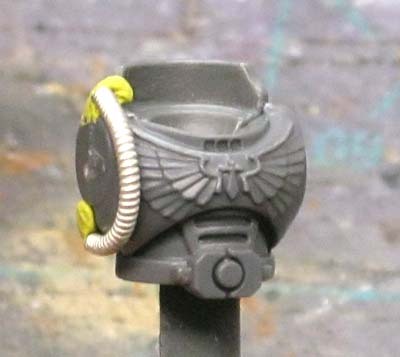 I noticed the pewter cables on Dragon Forge's blog earlier last week, and one question I have is what diameter would (or did) you use for the librarian cables? I was going to look for guitar strings for a Mephiston conversion, but I think I'll give these a try. The cost is pretty reasonable too. Guitar strings are most often free, they come in an amazing amount of sizes. The larger Bass strings are tough to shape, but to get better curves, wrap them around a rod or tube. Try brass instead of steel. I have not tried the Dragon Forge cables, but they look wonderful and everyone who uses them loves them. Da_Sub: I can see where they might be better on larger models, but that to me seems like a real specific use that would come along fairly rare. Ace: I don't know what diameter they were. I just picked one that looked the right size to me. The Harrower: Skip the guitar strings for sure. SC John: I had no idea they came in brass as opposed to steel. I think I'm going to stick with these and greenstuff to make mine though. I have another method for you as well. 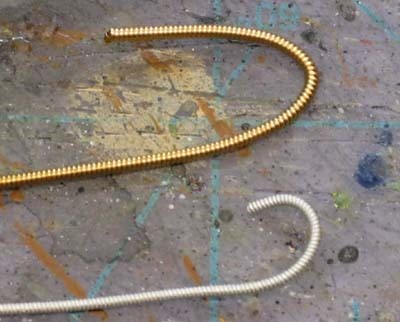 You could use this method to make cables of any diameter and length, and as long as the underlying wire is supple enough it can be bent into any shape. The pewter ones are ace - but they do sometimes have annoying mold lines that are near impossible to remove. I've found that you can use guitar strings if you anneal the metal. I have a small gas fueled soldering iron with a mini blowtorch attachment. Heat the strings up until they are glowing red hot and gradually move down the cable. Use pliers to hold the wire as it can get pretty hot!!! Then let the wire cool naturally (don't dunk it in water) it'll then be a lot more pliable and will hold it's shape with ease. I've used some of the smaller diameter wire to replace the cabling on the back of the arms on my FW Commander Culln terminator. Munky: Do you have to leave the paperclip in there? Can you use it to creat the coil and then remove it? I wonder if the coil would retain it's shape or just fall apart. simon duce: That is a small drawback to the pewter ones... but I'd take that over trying to heat up the metal ones. I don't know how my Wife would feel about me doing that in the office. She might not be impressed with me if light up a mini blowtorch for "little man" stuff. She is understanding, but to a point. Great article, but WHY would you add that little F-You note at the end? Price IS an issue for a lot of hobbyists, and the gall and insensitivity of that "note" on the end was just gross. Mr. Esty: I know price can be an issue for lots of hobbyists. Some techniques posted here require substantial investments of both time and money with a prerequisite of advanced skill and understanding. I attempt to share both kinds (cheap/easy and expensive/difficult) here and allow readers to pick and choose what works best in both categories for themselves. Ron, I get that. I do appreciate all the work you put in, and I'm glad you offer both kinds of hobby tips. However; to take the time say "if you're going to be doing this kind of conversion work, the cost of the supplies isn't going to matter anyway"
(rather than just including price), is terribly condescending and elitist. It was really a sour note to end a great article with. Mr. Esty: I do apprecite you bringing to my attention, that certainly was not my intention. Ron, you can get the paperclip out but you run the risk of opening up the coils. If you could use a far softer underlying wire (maybe solder?) you should be able to create any shape you wish with no hassle. I bought all my stuff from ebay for only a few £. Thanks Ron for the Review.. Glad you liked them! Yeah Dragon Forge has lots of nice things, bases are just the tip of his Iceberg as it were. You folks ought to spread the word and follow his Twitter Feed.. Last month I essentially was given $40 worth of Free Bases because I was the only entrant in a Contest he ran on his Site. As much as I would like to do this again I'd rather see more people getting to know his fine work! Great tutorial. 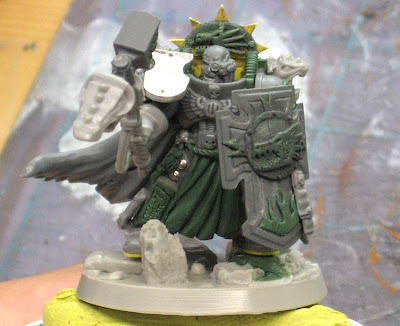 I want to make a custom Librarian with a closed helm (similar to the forgeworld Seth Model) and this will go a long way! I feel like I stumbled across this quality article a bit late. But if you still see these comments, I was wondering if you could direct me to the miniature you used for the torso in the second picture. 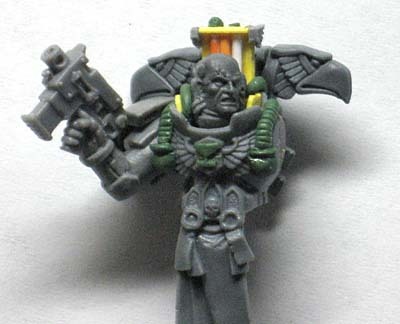 That belt looks absolutely amazing for chaplain conversions. Ken: Of course I still see these, it's how I interact with you guys. The torso you're asking about is the Company Champion one I believe. It comes in the Space Marine command squad box set or you can order it individually online through just about any reputable vendor. Awesome, the article was a bit old so I wasn't sure you'd see it. Thanks a lot, I really appreciate it mate.